In March HBO Now/Go will transition from winter to spring with original comedy and documentaries. Comedian Jerrod Carmichael of The Carmichael Show debuts his second stand-up special for HBO, Jerrod Carmichael: 8, on March 11, and the network’s animated comedy series Animals returns for its second season on March 17. For those who’d like to watch a documentary about college basketball rather than watch college basketball this March, the HBO Sports series continues on March 2 with UConn: The March To Madness, a chronicle of the 2016-17 UConn women’s basketball team’s quest for a fifth straight national title. Original documentaries Rock And A Hard Place, which examines incarcerated youth given a second chance in boot camp, and Cries From Syria, a look at the country’s harrowing civil war, also premiere this month. 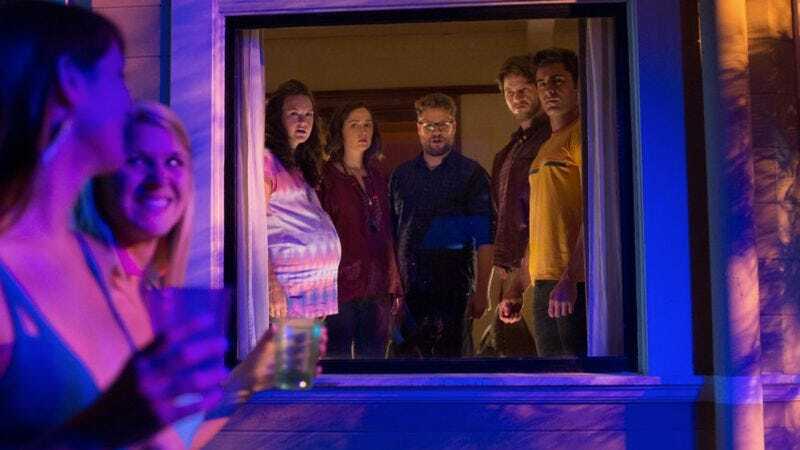 Also coming to HBO in March is Seth Rogen, Rose Byrne, and Zac Efron in party-flick sequel Neighbors 2: Sorority Rising (speaking of parties, you’ll want to catch Dave Chappelle’s Block Party before it heads home at the end of the month), and a few ’80s favorites, like Cocoon (and its sequel), Dragnet, and Parenthood. As far as what’s leaving the network, it’ll be your last chance to see a number of critically acclaimed films from the last decade and a half, from 2015’s Brooklyn and The Danish Girl to Capote, Cold Mountain, Eastern Promises, and American Psycho. The full list of what’s coming to HBO Go/Now is below, followed by the list of what’s leaving. *Debuts on HBO Now/HBO Go morning after linear airing.